Even when you are not at the top of the company, you always have power to bring about change. In the early 1980s, I was one of the first women on the trading floor. It was a large trading room, and there might have been two women. It was a homogeneous culture. We were breaking in. So it was a difficult environment, but I did not think of my rise in the company, my drive to excel, my desire to be competent, as being in any way gender-driven. One of the subtle changes, in the transition from management to leadership, was accepting that it wasn't about what "they" could do; it was about assuming the responsibility about what "I" can do to bring about change. Leadership is a matter of choice. You choose to take a position, to express a view. You have to be willing to act. For more thoughts on this topic, see the video featuring Dina and Pattie Sellers, Partner, SellersEaston Media. 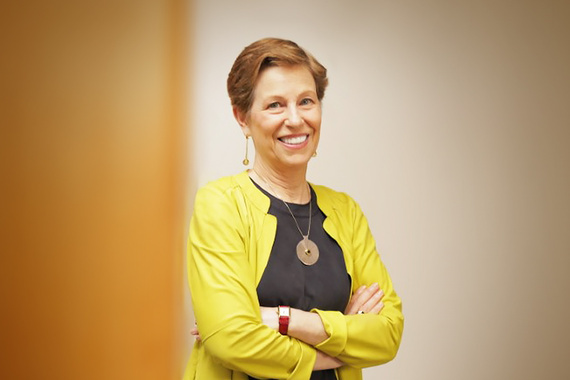 Dina Dublon, Accenture Board of Directors, and former Chief Financial Officer of JPMorgan Chase, was named "Woman of the Year" by the Financial Women's Association. Fortune magazine named her "One of the 50 Most Powerful Women in Business" for five consecutive years.